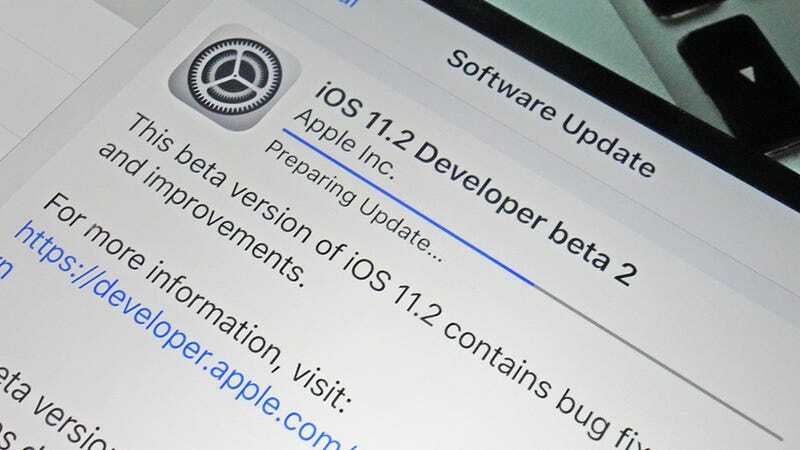 Updating your iDevice to the latest version of iOS gets you the newest features and the best security protection, but it can also bring with it a slew of bugs and issues. Since its release, iOS 11 has caused myriad problems, so here’s an easy reference guide to some of the issues you might be seeing and what you can do about them. Reports indicate that iOS 11 is a particularly flawed version of Apple’s mobile OS, so there’s nothing you can do about some of the problems. But hey, here’s a start. In one of the weirdest iOS 11 bugs we’ve seen, for some users hitting an “i” instantly autocorrects it to an “A” followed by a strange symbol. It’s not clear exactly why this is happening for some people—maybe something has gone haywire with the autocorrect AI—but Apple is working on a fix. Until that rolls out, you can try turning off autocorrect via the Auto-Correction entry in Settings (hit General then Keyboards to find it). Alternatively, choose Text Replacement from the same submenu, tap the plus button, then enter an uppercase “I” as the phrase and a lowercase “i” as the shortcut, then tap on the Save button. Update: Well, wouldn’t you know it, just after we published this post, Apple pushed iOS 11.1.1 update, which purports to fix this autocorrect issue. 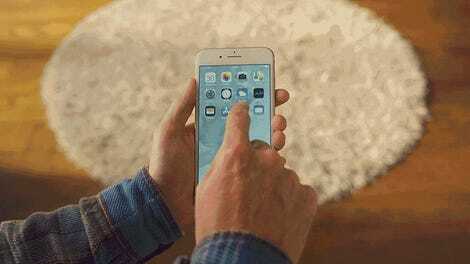 iOS 11 works on devices all the way back to the venerable iPhone 5S, and it may be that the update causes your phone to slow down to a crawl: That’s certainly what a significant number of users are reporting. The good news is that iOS 11.1 apparently speeds everything up a little, though you might not ever get back to the snappiness of iOS 10. To try and claw back some performance, you can clear some space on your device (tap iPhone Storage or iPad Storage under General in Settings), or do a full backup and then do a complete factory reset. Some users are reporting problems with getting Spotify to play nice with the playback buttons on the iOS 11 Control Center, and in this case it seems an app update is all you need to get everything working again. Users have reported the problem disappears with the updated Spotify app for iOS. In some cases, rebooting the phone and fully deleting and then reinstalling Spotify from scratch was necessary. It’s a reminder that sometimes bugs inside apps will be causing your iOS 11 woes. These should gradually fade away as more developers push updates for the new operating system. As always, the iOS update has lead to complaints of dwindling battery life. In theory, each successive iOS 11 update should alleviate battery drain problems a little further, as Apple optimizes the code and improves its efficiency on devices old and new. Keep checking for software updates and apply them as soon as they show up. Don’t forget to update your apps too, as developers will be optimizing their own code to play nice with iOS 11. Other than that, you’re relying on the usual battery tips—make use of the Low Power Mode under Battery in Settings, turn down the display brightness, put your phone into sleep mode more quickly (Display & Brightness in Settings), and so on. This is a feature, not a bug, Apple would tell you—those toggle switches for wi-fi and Bluetooth in the new Control Center don’t actually turn wi-fi and Bluetooth off, as you would expect. Instead, they simply disconnect you from whatever wi-fi and Bluetooth connections you’re hooked up to. The actual radios inside your phone are still on, looking for new connections and wasting more battery life than is strictly necessary. To actually switch wi-fi and Bluetooth off, you need to head into Settings and use the toggle switches in the wi-fi and Bluetooth menus. If you need to quickly reset the connections, you could use the airplane mode button on the Control Center, which does work as advertised. This is a weird one: The iOS 11 Calculator occasionally spits out the wrong answers, apparently because it can’t register key presses fast enough. Try doing 1+2+3 to see if you get 6 (the right answer) or 24 (which is 1+23). There’s not much you can do about this one except sit tight and wait for Apple to roll out a fix. Considering accurate answers from the built-in calculator is something phone owners have come to take for granted, we’d expect the fix pretty soon. In the meantime, you could just Google (or Bing) your sums, or switch to a free alternative from a third-party developer, like Calcbot. Numerous reports have come in of iOS 11 causing apps to freeze and crash, which is pretty much to be expected whenever a new edition of iOS rolls around. If uninstalling and reinstalling the latest version of the app doesn’t fix the bug, then you’re probably stuck waiting for either Apple or the developer to do something about it. There are a couple of important points to note though: First, iOS 11 finally shut off support for 32-bit apps, which might be why an older app isn’t working at all (if any of your apps are affected by the change, you should see a message on screen saying so). Second, iOS includes updated image and video formats called HEIF and HEVC. These might be causing problems with photo apps in particular, until they’re updated to support the new formats—you can disable them temporarily by going to Settings and tapping Camera, Formats, and Most Compatible. If you’ve been having crackling audio problems with the iPhone 8 or the iPhone 8 Plus then you’re not alone—a number of users have reported the intermittent issue. This is one that an Apple update should have fixed, at least in theory. The iOS 11.0.2 upgrade included a specific fix for new phones that were having the crackling audio problem during calls, as well as a number of other bug-squashing patches. As frustrating as it is, sometimes you just have to sit tight and wait for Apple to catch up with the bugs—the Apple Support forums can help you work out whether your problems are shared with anyone else. Know of more problems or fixes we didn’t mention? Let us know below.